Perfect system for Lotus Notes Database to recover Lotus Notes NSF files and Export Lotus Notes to Outlook with ease and provide ability to export NSF to PST, EML, MSG & other formats. eSoftTools NSF to PST Export Software works flawlessly on Lotus Notes NSF files and extract Notes Database easily. 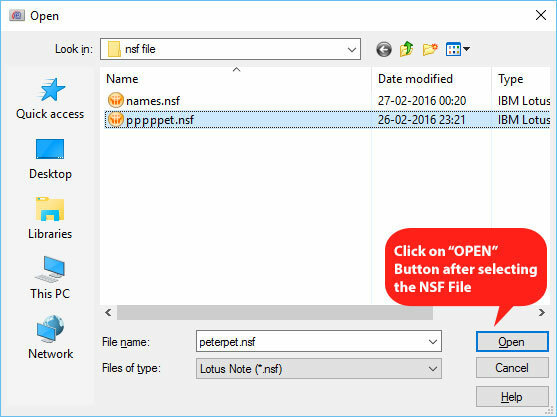 Export NSF PST tool greatly works on every version of Lotus Notes files and Export Notes to Outlook PST file. Quick to Export Notes to Outlook PST file. Export Lotus Notes to EML and MSG files. Export Notes Contacts to CSV Excel file. Export Notes Archive Databse to Outlook PST. Simple UI interface to easily process Lotus Notes Export to Outlook and other formats. Selective Notes Folder conversion available to export notes folders by folder to Outlook file. Export Lotus Notes to Outlook Software, export 25 items from each folder for evaluation. Open Lotus Notes Mail Database, Archive Database and Names.nsf file quickly and get the ability to export NSF file. eSoftTools Export Notes to Outlook Software easily extract items from NSF file and export NSF to PST with attachments and all other elements. Software has unique concepts to easily export Notes Outlook and export lotus notes folders like Inbox, Sent Items, Deleted Items, Drafts, To-Do-Lists etc. to Outlook PST file. eSoftTools Export NSF PST software offers recovery of Lotus Notes files and provide extra features to export nsf to pst, eml and msg formats. Lotus Notes Export software have the feature to promptly export lotus notes contacts to Excel CSV formats. User can also export lotus notes nsf contacts to Outlook as well. eSoftTools Lotus Notes to Outlook Tool is fully equipped with unique algorithm that smartly process Lotus Notes NSF files and Migrate UNICODE characters of Notes NSF file. 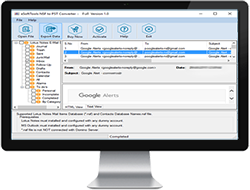 The eSoftTools NSF PST Export Software specially designed to deliver 100% accurate NSF migration to PST without modifying email formatting i.e RTF or Plain Text data in converted file. What benifits i can get with eSoftTools Export NSF to PST Software? The Software has multiple conversion facility to make its unique in the IT Industry. Software never made any changes in original Lotus Notes Database file. It reads the data inside NSF file very carefully and export it into Outlook PST, EML, MSG file. Also user can export nsf contacts to excel csv file. Can i Export only Contacts from Lotus Notes NSF file? 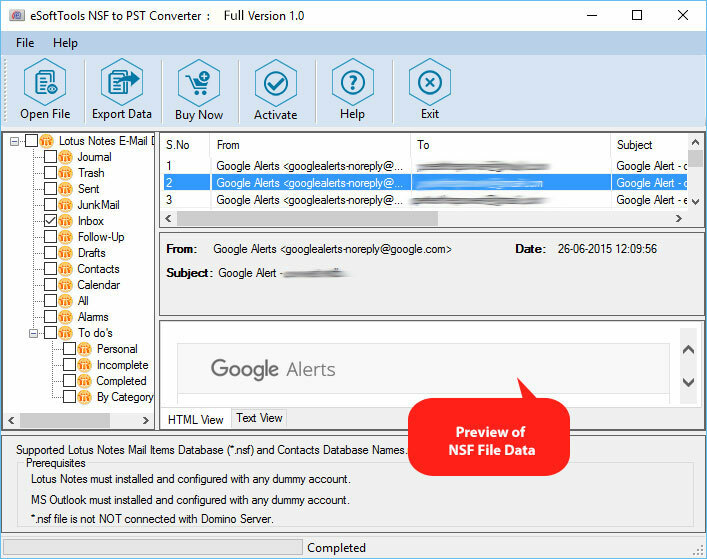 You have 2 options to export your NSF Contacts. First is to Export NSF Contacts to Outlook PST file and other is to Export NSF Contacts to Excel CSV file. Can i evaluate, i mean to export some of items from NSF with your Trail Version before making decision to purchase? YES.. We offer Trail version of Lotus Notes Converter software which allows you to export 25 items from each folders. Is Lotus Notes Required for this software? Or We can use it on non lotus notes enviornment? Our Software requires Lotus Notes client installed where you perform the conversion process. 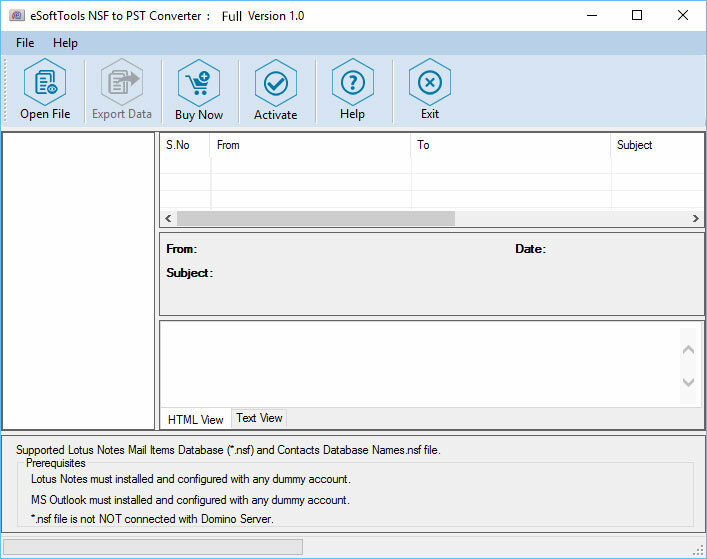 Download eSoftTools NSF PST Converter Software and get the familiarized with its features by evaluating NSF recovery process and conversion from NSF to PST file. The Trail Version software exports only 25 items from every folder to Outlook PST file. For the entire NSF Export File, you must need to get the license key of eSoftTools Export NSF PST software.